Right now at Crazy 8 when you buy any Tee, Polo, or Jeans you can score another item for just 8¢! While you're there you'll also want to check out the Markdowns starting at just $2.99! 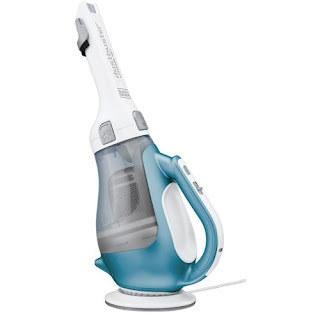 Right now you can take $10 off your $50 Black &amp; Decker Select Order, which means this BLACK + DECKER CHV1410L 16 volt Lithium Cordless Dust Buster Hand Vac is ONLY $40 (Retail $126). Get ready for back to school with great deals on a selection of High Sierra's most popular backpacks Up to 45% Off Select High Sierra Backpacks starting at $19.49! If you have a Batman or Superman fan in the home - this Organization deal is for you! Right now you can get Modern Littles Superman Logo or Batman Logo Folding Storage Bins 5-Pack - Your Choice for $32.99 (Retail $75). 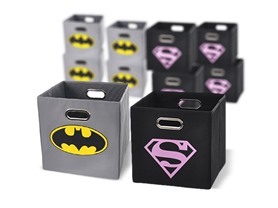 Choose Your 5-Pack Storage Bin Set: Featuring Batman and Superman logos in a variety of colored bins and colored logos. Each 5-Pack consists of 5 identical bins - you just choose which design! -Assembly: Each storage bin is packed flat in a PVC bag. Once taken out of the PVC bag, open both sides of the bin. Inside of the bin will have a separate 2 mm cardboard insert. Place the cardboard -insert on the bottom of the bin so that the storage bin stays open. Click here for more details and more deals!!! The Amazon Gift Card Lightning Deals are back today! Here are the gift card’s available (we won’t know the price until the deal begins). Craftsy has a ton of FREE Mini Classes! Here are just a few of my favorites. Head over HERE to check out all of the free classes and enroll!